The new Greg Minnaar-designed Maxxis Assegai. 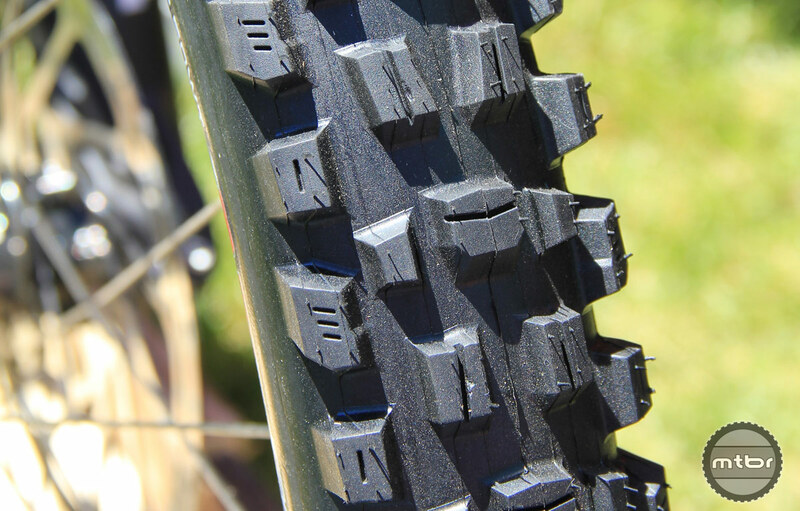 Maxxis has collaborated with downhill racing legend Greg Minnaar to create a new high traction tire, the Assegai. Before the jokes start, its name is derived from a traditional Zulu warrior spear. This tire combines tread patters from multiple popular Maxxis offerings, including the Minion DHF and DHR II. The initial release includes models with foldable DH casing in both 27.5×2.5 and 29×2.5. Both use the 3C MaxxGrip rubber compound. These are dual-ply casings with butyl sidewall inserts for stability and durability. Claimed weight for the 29er is 1300g and price is $90. Find more information at www.maxxis.com.